I’m Jennifer! I have clear skin, great digestion, high energy levels, excellent sleep and I feel younger and healthier every day. I run loops around people half my age. But believe me, I haven’t always been that way. I used to be possibly like you, and I mistakenly thought I was pretty healthy. Then I got sick, a few times. Over the years, my illnesses and setbacks were a cocktail of food intolerances, mineral deficiencies, heavy metal toxicity and chronic inflammation due to exposure to pesticides in food. After I healed myself, I made a commitment to dedicate my life to helping others on their journey back to health. Currently I work with clients via Skype, email and phone offering online Iridology and Health Coaching. I live in the mountains of Western North Carolina with my husband where we grow our own farm-to-table clean organic food, drink fresh untreated mountain spring water, are proud to have no cell phone coverage and enjoy a less stressful and healthier approach to living. Take a deep breath and imagine the smell and feel of the mountain fresh air! For 2.5 years, I had a horrible full-body itchy rash that doctors were not able to diagnose. You could also call it eczema, dermatitis, psoriasis, urticaria (hives) or depression, depending on the doctor. Yep, I was put through the ringer. I eventually left the waiting rooms and healed myself completely through detox and change of diet. If you ever want to compliment me on my radiant and glowing skin, it’s a compliment that I am very proud to accept! I’m here to help you find your own Healthy Bliss!! 3. Suffering with illness and/or dis-ease and the doctors can’t help. Congratulations, you came to the right place! Remember: The body has an innate intelligence to heal itself. If the body created a condition (dis-ease), then surely it can reverse it. If you’re not currently achieving the results you desire, then there’s either something missing in your body’s “toolbox” (ie minerals, vitamins, alkaline pH) or there is something blocking your body’s ability to heal (toxicity, inflammation, stress of an organ or system). When we correct these imbalances, we allow the body to rebuild and repair, naturally. I’ve been working with detox, raw foods, juice fasting, cleansing and natural healing for over 16 years. For 6 years, I lived full-time in Koh Samui, Thailand, the world’s largest detox destination, where I worked as a Detox Advisor, Iridologist, Plant-Based Nutritionist and even Meditation Guide. I provided detox support and offered weekly nutrition and lifestyle classes at The Spa Samui, New Leaf Resort, Absolute Sanctuary, Kamalaya Resort and The Four Seasons. I worked with up to 150 people per day doing fasting, colon cleansing, and juicing. In just 6 years, I gained a lifetime of experience with detox and fasting! Additionally, I’ve worked with clients and presented workshops and health talks in USA, Costa Rica, Panama, Ecuador, China, Korea, Japan, Malaysia, Indonesia, Maldives, Thailand, Holland, Spain, Dubai, Jordan, Kazakhstan and Israel. Yes, I have definitely been very busy!! I’m a fully trained and qualified Certified Comprehensive Iridologist (CCI) through the International Iridology Practitioner’s Association (IIPA). I currently see clients via Skype and phone in between workshops and health retreats. Jennifer Betesh has been working with raw food, juices, smoothies and detox for almost two decades to help people heal. 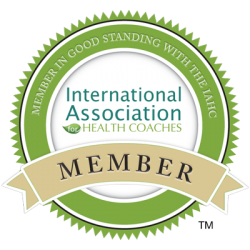 Today, she shares her expertise worldwide, offering lectures, workshops, training and one-on-one consultations at various health and detox retreat centers. 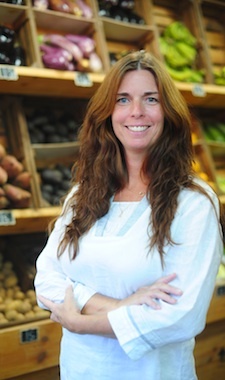 She specializes in helping people improve the quality of their lives just by improving the quality of their food. Her first DVD, Green Smoothie Power, was released in 2012. She is the author of Green Smoothies for Dummies (Wiley, 2014). Jennifer is a fully trained and qualified IIPA Certified Comprehensive Iridologist (CCI) through the International Iridology Practitioner’s Association. She provides Iridology Analyses & Health Coaching via Skype and Phone to clients and continues to educate, motivate and inspire others on their journey of healing. Jennifer has worked for The Four Seasons and The Mandarin Oriental Hotel group; her clients included celebrities and royalty. When she’s not working, you’ll find her hiking in the mountains, power-walking along the sea or globe-trotting to a new and exotic health destination. Interested in working together? I have a Media Kit available upon request! Contact Jennifer to host a detox retreat at your fasting center. Read what others have to say at Jennifer’s Testimonial Page. Book your Online Iridology via Skype with Jennifer to start your detox and healing today! 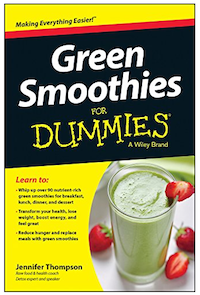 Green Smoothies For Dummies is your beginner’s guide to the world of drinkable greens. 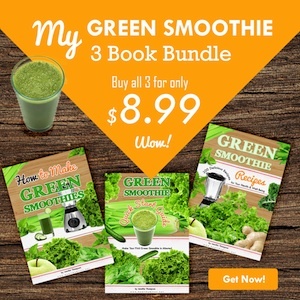 Author and international smoothie guru Jennifer Betesh (Thompson) explains the benefits of green smoothies, and provides over 100 recipes that will make you start craving your vegetables. You’ll get to know the flavors and properties of each ingredient, and how to combine ingredients for complete nutrition. Available on amazon.com or the iTunes store. 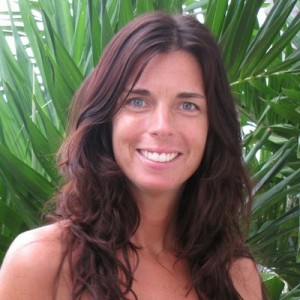 Enjoy FREE monthly raw food recipes, cleansing & detox tips from Jennifer…simply click here. Thanks so much for your Iridology reading the other day; it was fantastic and gave us a lot to consider. I am now very interested in studying Iridology. Any pointers would be greatly appreciated as you are the most amazing iridologist we have ever seen and I would love to learn your skill. Raw hugs from London! "Every time you're tempted to react in the same old way, ask if you want to be a prisoner of the past or a pioneer of the future."